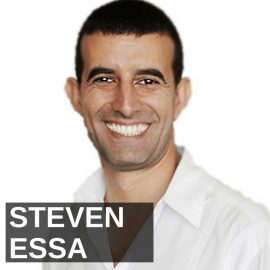 Hey, it’s my pleasure to welcome Steven Essa to the show. He is a very dynamic webinar specialist and if you want to promote your business, your products, your services, even the ones you have not yet invented, you’re going to like this episode as Steven dives in and tells you how you can build quite a business from the webinar platform. I’m just very excited to hear from him. He is coming to us from down under, beautiful Australia today. Steven, welcome, how are you? Great to be here, Jason. Thanks mate. That’s for having me on. Yeah, the pleasure is all mine. So, give us some real quick background, Steven and then let’s dive into some real tactical and strategic ideas as to how we can be successful with webinars. Yeah, absolutely, mate. Well, I won’t bore you with my background. I’m a death metal guitarist originally many, many years ago. Spent a long time in the music business, came back to Australia broke in 2005 after being in the states for a couple of years and the music business collapsed and I just went about, you know, creating wealth. I was sick and tired of being broke, I was sick and tired of sleeping on lounges and floors as a musician and I was like, that’s it. I’m going to make money and then I’m going to basically play as much music as I want for whoever I want. I don’t need any A&R representative telling me how bad I am, because I already know I am, so basically I started out in real estate when I got back to Australia and my boss’s business was really lacking the online presence that so many of his competitors and it was a real estate investment company, like property investors and I went to a seminar to really try and figure out how to grow his business online, because I had no idea about websites or anything like that. Attend a seminar and basically implemented some of the strategies I learned there about webinars and presenting and all of that stuff that was there. Websites, all that stuff, and we did about $106,000 four months after I started implementing that stuff. Now, that wasn’t just because of me. The boss had a great product as well and he had existing customers, but what I was able to do was see that, wow, if we could present this way, if we could do webinars like do stuff online and have the same message going out to people that we are doing in-person – because he was running workshops was every week. He had to be there and so basically what I did was I went out on my own after six months and started my own business just doing webinars and started making really, really good money and then people started asking me to teach them how to do it and I couldn’t believe it because webinars are so easy. I said who would possibly, you know, want to pay to learn this stuff. I couldn’t believe it at that time, but my mentor at the time said, yeah, yeah, that’s good. You become the webinar guy. So, that’s sort of how it started and from there I started going to seminars and picking people from the audience, random people, and helping them build a web business via webinar in three days and then we launch it live and we made anything from $2,000 to $22,000 live in 60 minutes. You know, just teaching people the formula, the clients, and myself. This is just what we do everyday in our business online. So, I think the first real secret to webinar success is probably going to be getting people to the webinar. So, why don’t maybe take this in chronological order and kind of go through that, you know, timeline, that little business plan as to how we can be successful with webinars. I mean, am I right about that that the first step is getting people there? Yeah, I mean, in terms of the actual, you know, running it, but what I always start off with, Jason, is I kick off with the webinar presentation. I don’t care about how many people we’ve got or don’t have. I wanna see that presentation, because that’s going to tell me everything. That’s like a blue print. Just by looking at a presentation, literally I’ve looked at thousands of presentations. Gone through tens of thousands of hours sitting there with students and just really critiquing the webinar point by point. Stopping them and getting it going. That presentation is really everything, because once we, you know, to test the webinar, you only really need ten targeted people there, because your webinar should be converting at 10%, okay, especially if you’ve got something for less than the thousand dollars. Anything under a thousand dollars should be converting at 10% with the right target audience there. So, I really want to see that presentation. I want to see the structure. I want to make sure there’s enough content in there. I want to make sure that it makes sense and I want to make sure there’s an irresistible offer. So, what I always do is I have someone present the webinar to me and then I just have a pen and paper and I just do minute by minute critique and then at the end I say, okay, fix this, say this, do this, have this, not enough content here, put that, put a story there. Any statistics to back up what you’re saying there. Have you got any more case studies, you know, can you make this more irresistible, can you whatever it is, so that is what I always kick it off with. Once we have that presentation ready, then yes, absolutely, let’s set it up, either pre-recorded. I rather do it live, because it forces people to do it. I love automated webinars. I use them everyday in my business, but I always do, the first time I present a webinar, I also do that live, because number one it forces you to do it. Most people will procrastinate. Oh, it’s not right yet, if they pre-record it with Camtasia or screen flow, they basically take forever to edit all the ums and ahs. What sells on a webinar is sounding natural. Taking a drinking of water. It’s having a little cough and that natural feeling. I mean, how many times have you had customers buying from you because they got you sounding real. You sounded natural, you know what I mean? Yeah, people want authenticity, but on that presentation and doing it live, you’ve got a date so everything drives up to the date. Now there’s pressure and things get done, so I totally see what you mean about that, but take me back to the presentation concept for a moment. Is there a formula, a very specific formula that you use and if you can quantify for us, Steven, at all, you know, in terms of maybe slides, you know. How long should it be in terms of time and slides? Yeah, absolutely. Well, I’ve got a template, a PowerPoint template that I use and my customer’s use and that’s probably generated over $50 million dollars in sales for myself and clients. Like, I’ve done over $8 million and my clients have done like many, many more millions and not all of my clients report back to me how much they’ve made, but it’s a very, very simple structure and I’ll explain. Normally, I’ll start off with. If you’ve got a $1,000 product or less, then 60 minutes is a enough time to sell a product of that. If it’s over $1,000, then we need 90 minutes on a webinar. That more time, extra time delivering, more content, and explaining what your offer is in more detail is definitely more important. So, over a thousand dollars, 90 minutes, but let’s look at a product under a $1,000, because that’s where most people start out, $297, $497 price points. So, what I’ve always looked at, the ratio is ten minutes on the introduction, 40 minutes of primo content, and ten minutes of talking about your product and service at the end. So, that’s the one hour. If we dive in to each section just quickly. I could spend an hour on this or I could spend ten minutes. I’ll go as quick as I can, but the introduction, what we want to do with the first slide is we want to have the big promise on there. We want to have the hook, the title of the webinar, and that should be something that really hooks people in. Something measurable like, you know, discover how to make a $120,000 in 60 minutes thanks to webinars. That tells people a measurable result. It tells people within a certain time frame and it’s with webinars, okay. So, that’s a marketing hook that we used recently, but when I first started out it was seven ways to make big money with webinars and what you want to do, whatever your marketing hook or title is for your presentation, when you start the webinar, get to the point. Too many people these days on a webinar, they start it up and they go, oh, hi, Roger, yeah, Jason, can you hear me okay there, yeah, okay guys, we’ll get started in a few minutes and whatever. I want to let them know from the outset that you’re here to get this result and this is what I’m here for. It’s professional and I’m going to get to the point here with this information, so I always kick it off with, hey, Steven Essa here, welcome to the webinar. Today I’m going to show you how you can make $120,000 in 60 minutes thanks to the power of webinars, even if you have never done this before. I’m going to show you from scratch. In fact, I’m going to even demonstrate with someone on the webinar here, we’re going to do this. I’m going to give you control of the webinar and someone on this webinar is going to run the webinar for the very first time. We’re going to record it and automate it. I wanna show you how to make a business that makes you, you know, $120,000 or more and let’s get right into the content. Turn off your distractions right now. Let’s get focused, get your pen and paper, because these days, Jason, a lot of people turn up to a webinar, but they’re passively listening. Like, a radio in the background, so they are not really engaged. So, just because you’ve got ten people on the webinar or 100 or a 1,000, you still have to work really hard in that first ten seconds to get their attention and to make them commit. You gotta grab them and make sure their listening and do what you can to shake them up. I always, like on a webinar, I always go, okay, type in if you can hear me okay, alright, there’s Jason and Rye and Cathy, and Nino and Betty, okay. Thank you guys, excellent. Great to have you on here and I can work out then who is in engaged, because the people are actually typing in. I’m getting more and more people engaged saying their name and getting a connected with them. For an automated webinar later, well, they are just going to pick up on the fact that there’s people there and it’s going to sound real, because it was. I’m not into the artificial thing that everyone seems to do. It’s much more natural and authentic if you’re real, so the next slide after I’ve done that and that might be 30 seconds to a minute. I’m really building up on what they’re going to get, the next side I have is called this webinar is for you if… and what I want to do there is I want to touch on vertical markets that could be on the webinar. For example, you’ve got a podcast product, you might have guys who do radio shows who have heard about podcasting and they haven’t put their podcast in iTunes yet. You might have authors who are not making enough money from their books. You might have speakers or whatever. So, I’ll say something like, this is webinar is for you if you are a speaker or a presenter and you wanna to leverage of podcasting to access the one billion subscribers in iTunes, grow your profile, grow your authority and generate more sales as a result of the back end of a podcast can bring. In my case, over ten million dollars. This is for you if you’re an author and you’re sick and tired of only making $30 dollars from your book. You want to monetize that, you want to generate more money then podcasting can help you do that. Again, it can help you to grow your authority as well. This webinar is for if you are an internet marketer and you want to basically start a podcast, because you know it can generate more leads, you’ve heard about how good it is and you want to monetize it as well. This is for you as well. This is for you if you’ve got, you know, a product to sell and you’re having trouble getting traffic. Podcasting can get you loads of traffic very, very easily. In fact, I’ll show you how I get 10,000 downloads to my podcast a day and how you can do the same. So, we’re touching on everyone, because we want everyone at that slide there. At the very beginning of the webinar, Jason, is to say to themselves, that’s me! He’s talking about me! I’m an internet marketer or I’m an author, yeah, and I am struggling to make money. So, that’s basically what we really want to hit on there is connect with them and make every different vertical market on the webinar that we can connect and realize how power this strategy can be for them, okay, because some people always sit there always at the end of the webinar, you’ll always have people saying, well, how does podcasting relate to me, Jason, because I’m a carpenter or I’m a the builder, how would podcasting relate to me? So, if you can address that upfront, that objection that they have at the beginning and now they’re open at the very beginning to possibilities, then you can just, they’re in a position where they are more likely to buy from you at the end instead of going into the close with that object there. Okay, take us to the next part, but also Steven I want to make sure I ask you, I mean, 90 minutes for the $1,000 plus product. That sounds really long. Even an hour sounds pretty long, but do you recommend that you just have one person on the webinar, two people, or multiple, even more people? I’ve always done it myself. Like, whenever I..
Yeah, whenever I do a JV webinar, which I do every week, I have presenters come on and they sell their product or service. I introduce them, because it’s my list. Whoever’s list it is should introduce them, but that being said, I did a webinar two weeks ago with a guy, his list, and he couldn’t be there, so I just introduced myself. We did $57,000 in sales in 90 minutes. It was a 3k product, my 3k product that I have and yeah, 90 minutes it seems like a long time, but to people who are interested in the content and it’s a good content webinar, none of this rubbish about, you know, just giving air and water sort of stuff, make sure you deliver great content, you’re giving them stuff that you actually taking notes and you’re like wow, this is amazing. By the end of the 40 minute content section, I want the audience in this position, wow! I have learned so much from Jason or Steve in this 40 minutes. Imagine, I need to work with this person. I need, if I wanna go there faster, I need to find what else they’ve got and that’s where, you know, if you’ve done your job in the content section, then they’re going to be very, very open and all you need at the end is an irresistible offer and you’ll get the 10% of the people there. Okay, so talk to us about the content section though a little more here and what’s included in there, in that formula. Yeah, absolutely. Well, basically, what you need three, five, or seven steps. Break it down because people only, in fact, 60 minute webinar, three steps or five steps. You won’t have time to get through seven steps. So, you want to really go three or five steps and break your stuff down into bit size chunks so it’s very simple for people. Alright, you don’t want to drill it down too deep. For example, your product, Jason, you wouldn’t want to get on there and go, step number one is, you know, get a WordPress website and then get Blueberry app and then go to iTunes and press this button and you get HostGator and here’s what you do with the HostGator link. You put that there and you put it in your domain name. You know, you don’t want to drill down too deep. That’s for the course, that’s for later on, but you do want to give them an overview of what they need to do and drill down a little bit like with some really, really good tips on the important points of doing a podcast. Like, you know, you might say step number one would be okay, choose your topic, right. Now, here’s some important things with choosing your topic. You can go broad or you can niche. The advantage of going really niche is this, the advantage of going broad is you’re going to have more experts interviewed and become JV partners with them and etc, etc. Here’s some ways you can do that. You can go to Amazon, have a look at what people are offering there and what books there are, magazines, give them some really good content, tell them what to avoid, also tell them a story. Each step that you have, tell a story to illustrate the point how you helped someone. For example, I saw, okay, guys, well, in this example, you know, I had a pilots, one of my pilots made $450,000 pounds with a webinar or I got a vet who made $300,000 doing this and he sold his business as a result. He now does webinar. So, I tell a little bi about that story to illustrate how that works so that paints a picture in their mind, because too many times people get on a webinar, they start drilling content, bang, bang, bang, and people get overwhelmed and they don’t, you know, not everyone learns the same way and a lot of people now we know they’re entrepreneurial, they more learn with pitches, they learn with stories, they get inspired and motivated by other people’s success much more than content, so the content have it there, have it particular, have it good so they’re writing notes and going wow, this is good, and then illustrate it with a point or a statistic or a case study that you’ve got that you put forward that illustrates, you know, this has worked and this is how it works. You go into the steps and follow that formula, you know, so, if you’ve got three steps, you’re going to spend about ten minutes on each or five steps, you know, seven minutes on each or whatever, then you get to the close. Okay, so those are the steps and what about testimonials or social proof. I would think you would have..you mentioned case studies before. Yeah, absolutely. In the first ten minutes after that slide I mentioned before, I wanna go straight into proof, okay, what we left out in the intro is the proof sector. Nothing sells like proof and whenever I work with an expert, I always want to get the proof out of them really, really quickly and proof is not some, you know, a testimonial is not a testimonial is someone says, oh, I worked with Steven on his webinar and he’s really good, he’s really patient and he’s really good. That’s a good – that’s okay, but what I want is I made $450,000 pounds in my two automated webinars. I want results, measurable result, and basically what you want to do is get your best case studies that you have. If you don’t have them, you can basically tell as case study of someone else, okay, someone else that’s had success, okay, or you could basically use statistics and stats to back up what you’re saying. Like, for example, I’ll say you, guys websites produce a 1% conversion rate for every 100 visitors to your website, you get one sale, alright. With a webinar, it’s 10%. So, every 100 visitors you make 10 sales and we can sell products at ten times the price. People will pay you ten times more money, okay, for the same information to deliver a webinar series to them than they will for an ebook with the same information in it. So, I give them some statistics of my research, what I’ve done, and how I’ve managed to do that. So, building up that case in the first ten minutes and case studies and testimonials all throughout the presentation, not where it gets boring where it’s case study after case study and you have to relate the testimonial back to people. Say, okay,guys, that’s step number one, choosing the right, you know niche to go into the create a podcast, you know, this is John who was struggling to do that. John came to me and he said, Steve, I’m not sure whether to go niche or whether to go broad with my podcast and we worked out that he had enough information to go niche. We went niche, in the first six months he made this much money or he got this many subscribers. Something measurable that demonstrates what you’re talking about and you’re able to help him and you’re help them in turn. Before this one hour webinar, in terms of quantifying again, how many slides do you think it has. I don’t really look at slides so much. Probably if I had to count just on the average webinar, just look at the one we did last week..
Yeah, I’m just doing that because I want to know how much visual stimulation you have versus audio. Yeah, I wouldn’t stay on a slide for too long. I’ve seen some people they just have an image and they keep moving through that image, but again, what we’re talking about here, why webinars produce such a high conversion rate is because we’re talking to people who are passionate and interested in that topic at the time. Now, you’re always going to have people who come along who were just kind of like tire kickers, they’re coming along to just watch, but they are not really interested in doing webinars at this time and we are presenting a webinar on webinars or podcasting, they’re not really interesting, they are just sort of fishing around They are just looking around, listening in, but we’ve always got people who are targeted on there. Normally it’s about 10% of the people will buy because they are targeted and you’re hitting it with the right information and the right offering. So, slides can move very quickly if you want them to, but I always like, whenever I am putting a presentation together for someone new, they are a bit worried about remembering the information, so I have a lot of information on the slides to prompt them to remember. It doesn’t really matter a big deal. I mean, you’re talking about maybe the 10-20%. Look, the 80% is the majority, which is going to get the sales who are the targeted audience who want those results. Makes sense, okay. So, did you get that slide number just for my curiosity. I’ll filed that. It was on my desktop. I’ll just look at my template here and tell ya how many slides in that. And then I want you to take us to the close part and then let’s talk about platforms and technology a little bit. Just the standard template, I have 35 slides, but within that you would need to have, to build out the content section, so maybe another, at least 70 slides. 70 slides per hour? So, a little more than one per minute. Got it. Okay, okay, good. Thanks. I know that’s probably an odd ball question, but I just wanted to – I like to quantify things when you can, you know to just get a number on things so you know what you’re kind of looking at here. Okay, good. So, now we’re at the close, the all important close. Yeah, absolutely and this is what Brian Tracy, the sales guru says, this is the bumpy section in the sales process, the whole process of pitching something. This is the bumpy section and a lot of people get nervous here. Now, you won’t get nervous here when you’ve delivered great content and value because people will be writing to you going wow, that was amazing by this stage. Thank you for sharing such amazing content and not holding back, because too many people hold back in the content section and they try to do little mind games and tricks and things like that that really, again, they are only the 10% of things that affect the webinar, so the majority of stuff is just leaving great value and where we want the listener at this point is we want them to go, wow, I’ve just listened to, you know, Jason has blown me away with awesome content. I can’t wait to see what else this is. And what we do is we have a transition slide in there and I’ve got this one slide that I’ve got I’ll tell you the script of it, but there’s many different ways to transition, but we want to recap the steps first to show you, hey, here’s want I promised you at the start, right, these five steps and I just delivered it to you. Then you say something like, what’s the guarantee formula to get a podcast up and running and generating thousands of dollars really fast? Here it is. It’s my podcast mastery program, okay, whatever the name of the program is, you know, and then you tell them a little bit about what that is. Another script transitions slides is the one we use is something like, so when you leave this webinar, you got a lot of great information for me, right? But if you haven’t done podcasting before and this is your first time really looking at it, it can be a bit overwhelming, right? So, what can you do about it? Is it okay I show you the fast and easy way to make all this happen for you? Introducing my podcasting mastery program. You’re going to receive step by step instructions on how to implement podcasting right now and the great thing with the podcast mastery program is we take you through from the beginning not knowing anything to a fully automated podcast that brings you authority, that brings you leads, that brings you sales, and grows your business and you can run it from anywhere in the world. That’s what it is, here’s what included in the program. And then I get into sort of the program, so really the main thing to focus on here Jason, what I always teach my students is focus on the benefit. People don’t want to work with you one or one, they don’t want your DVDs, they don’t want your 100 hours of videos, they don’t want access to your membership site, they don’t want a workshop; they don’t want it done for them. They want the result that it’s going to give them and too many people focus on – because when we create a product, we’re passionate about it and we know the hours that went into it and we know, we know what that means, because we know when we say, watch this DVD what that’s going to mean for them, because we know it’s packed full of great content, but they don’t know that, number one and they don’t care what’s in there. They want to know the result that they are going to get out of it and this is where most people fall down. They go, you know, webinar one, you know, you’re going to get this DVD and blah blah and you know, I’m going to coach you and all of that stuff, so that’s pretty much where the main focus. 70% of what you say needs to be focused on benefits and 30% is on the features of the product. When it comes to the product, if you haven’t got a product made yet, then I just sell more webinars. So, at the end of the free webinar here, I’m at this point in the close, if I don’t have something physical that I can sell, I’ll just create four, eight, or ten weekly webinars to sell them and I’ll say something like, okay, here’s what we’re going to do guys, we’re going to do some live webinars with you and train you further on how to get your podcast business going. Webinar number one, we’re going to deeper into choosing your topic, in fact on this webinar, we’ll be looking at this platform, this platform here and there and whatever and talking to you about how you can pick the best topic to go into. The benefit of that is you’re going to pick a topic that’s going to make you more money. The benefit is you’re going to grow authority, the benefit is you’re going to grow your list, grow your business, and have more great lifestyle thanks to that, okay. Webinar two we’re going to look at, you know, which platforms to put your podcast into, for example, iTunes has a billion people, going to show you how to put it in there step by step in this video and then I’m going to, the benefit is that, you’ve put all this exposure there, again, billion subscribers there. Lots of downloads, free traffic, sales, you know, that’s what they want. So, just really keep pushing hard and don’t be afraid to repeat yourself. If they are coming to you because they want more lifestyle than really push that. If you know your audience and you know what they want, then really push that. Don’t just say it once. You gotta get them into an emotional state that makes them realize the possibility that they can do this, you know, that’s the biggest sales job you gotta do on people. They don’t believe that they can do it when they are going to buy your product. That’s the biggest thing. So when we keep driving home the emotion of hey, this is what you’re going to have, alright, then it puts them into the stop penny pinching in their mind. Well, maybe, oh, wow, well, yeah, Jason has delivered amazing content here in the last 60 minutes. Imagine how good his course is going to be if I learned so much in 40 mins, imagine this is the guy I need to work with, you know, this is the guy and I trust him because look at how much content he’s given and look at the testimonials there and all that and this is what’s going through their head, they’re just painting a picture of themselves if you can sort of illustrate that for them. So, normally I go through it that way and depending on the offer, every offer is structured a little bit differently, but I’ll normally have a guarantee in there, you know, and tell them it’s a 30 day money back guarantee 100% no risk to them all that stuff and then at the end tell them where to go and buy. Back to my very first question, because I think you can answer it now and then we gotta kind of wrap up, but it was about how you get people to the webinar and you have an interesting system for that it sounds like. Yeah, absolutely. To me, if someone start – depends where you’re starting out from. If you’re starting out and you’ve got your own list, then that’s fantastic, because you can market to your own list, but if you’re like most people and you’re starting out and you don’t have a list at all, the single biggest, easiest way, okay, that you can get webinar business making you a $100 grand or more per year is to find someone who’s got a list and get them to promote it, because people are looking for more new material to promote to their list, right, so what I always do and when I started out is spending 15 minutes a day looking for top quality joint venture partners who can promote my webinar to their list. That’s all you need to do, because why would you go out and spend tens of thousands of dollars in online marketing, trying Facebook ads and stuff for a webinar you’ve never done before. If you’ve got your conversions right, then fantastic. Let’s go and spend some money on it right and even if you don’t have your conversions right, you’re happy to test, you’re happy to spend some money, fantastic. Go and do that, but that doesn’t guarantee you’re going to make sales, but what does guarantee you’re going to make sales if you go to someone who’s got a list, they market the webinar for you, alright, and then they get people there and all you need to do is show up, deliver content and sell a product at the end. That’s the easiest way that you can make money, fast money as well, like big money and fast money from a webinar presentation. So, spend a little bit of time and how do you do that? You go to events, you look for people, look for authorities online, look at people who are doing podcast shows. Look for, speakers, leaders in your industry and propose a template to them. Send them your webinar! Set it up and run it yourself maybe a couple of times, you know, try and get ten people there and after you’re getting one in ten sales, then you go it’s converting at 10%, great, and you write to people like me. I’ve got a list of over 25,000 people, right. So, I’m looking for new stuff to promote. Three weeks ago we promoted a guy, Amazon Kindle, he made $8 grand in sales. We make $4 grand, he makes $4 grand. A few weeks before that we did a guy who had done app. We made $12 grand on the webinar, he made $6 grand, we make $6 grand. I did my product to the other list I told you earlier. $57 grand. They made 25 grand, I make 25 grand. So, basically someone has already done the hard work for you and you only need three or four really good joint venture partners. If you can get your webinar to convert for them, they’ll promote it on tap for you and you’re paying 50%, that’s a guaranteed result. Now, 50% is just in our business. In other industries it’s not necessarily 50%. you’re going to offer whatever it is that you want, whatever they’re willing to do, but the bottom line is, I’ve built my list selling products about webinars, webinar replay software and all that. I’m looking for more material to promote, because not everyone on my list is bought. I only probably out of 25,000 people, probably only 4,500 people are customer in that list. So, the rest of the people never bought anything from me. So, why shouldn’t I promote like a podcasting webinar and then sell a product. Why shouldn’t I promote someone who does Amazon. Why wouldn’t I promote someone who’s got apps. As long as they’ve got a good presentation, I check it out, I look at it, and I say okay, that’s good, fix this, do this, blah, blah, and I know they’re going to deliver a good service or product, basically I’ll promote someone like that all day. So, there’s guys out there like me looking for stuff to monetize to their list, so you go and find them, right. Go find them and basically get them to mail for you for 50% fee. Now, the first time you email the, they’re going to ignore the email. The second time probably the same, but if you keep persisting, eventually what happens with me is people write and write and write. I tell my wife, okay, darling, can you schedule a webinar for this person. He’s not letting go, he’s never going to get lost until I do a webinar for him, so let’s just get him on there. You know? By then I would probably, you know, speak to the guy, make sure he’s legitimate, make sure I look at the product, look at the service, whatever it is they’re doing, do a little bit of research on him online, make sure there’s nothing dodgy about them and then in the first case, we always process the sales as well. We know we’re going to pay them and if any customer have a problem from my list, I want to refund them, because I nurture my list, I look after my list and, you know, at the same time as you’re doing this stuff, you build your own list. Try Facebook ads with webinars and try the podcasting is another great one as well. At the end of your podcast show, if you’re running a podcast show, then you can say, guys, if you have enjoyed this content, then check out our webinar. You know, 60 minutes of great content on blah, blah. Do you take questions during the webinars? Not during, but at the end. So, do you have a metric for how many you think, Steven, need to be on that webinar to consider it to be worth while or successful and then secondarily to that, what kind of conversion rate do you like to see? Definitely, look, the second question, 10% is what. The 10% is the bench mark of what we’re going for. If we’re getting more than 10%, the price point is too cheap. I know if we’re doing 20%-30%, we can go up from. I always start out from $297 as a test. When I first started, that’s where I started out and then we build it up from there, so if it’s more than 10% and the first question, how much is worth while. It depends on each person. So, some people might say, Steve, if you could help me create a $1,000 product and I could sell one or week or really, you only need ten people there to get that one, okay, so ten people a week is all you need to focus on to get to your webinar to make that one $1,000 sale. So, all week long, your only job is to hustle, to move, to basically get, ten people to that webinar, and I don’t care how you get them there. You could have been at a networking event and you got a couple of business cards from people who said, yeah, I would love to see it. You register them for the webinar. You might have done a couple of Facebook ads and got two people registered that way, right, and you might have done an email to your list of a 100 people. The bottom line is that there’s really no excuse. It’s really 10 people there will tell you if it’s a converting or now. Now, the more you have there, obviously the better. It’s a numbers game. So, if you can get 50 people there, 100 people there, then that’s great, right. Normally with a webinar when we promote a webinar to our list we might, you know, a 1,000 people registered. A 1,000 people register for the right topic, but if we do like a topic that’s not really targeted to our list like, you know, we done a webinar on how to get organized, which is a bit boring for some people. We get 200 people registered and maybe 50 people show up, so it just depends on the topic and the target audience that it is going to, but essentially, yeah, you want to get as many people there as you can and you just, it just becomes a numbers game. If you know for every one in ten you’re converting your $1,000 product, then you can go spend money on advertising or spend money on solo ads or ad swaps with other people and get m,ore people to that funnel, but that’s the first thing that we want to do is just get it out there to ten people, test it out, if it’s converting, great. If not, let’s refix it. Just quickly, if it’s not converting it’s because these of reasons, number one, your offer is not irresistible enough, you’re not making a compelling and irresistible offer. Number two, you didn’t deliver enough content so they’re still sitting there going, well, I didn’t really learn anything, he just talked about himself or he just, you know, sat there and his case studies. I don’t really see how this relates to me and I didn’t make a start on it. They don’t say all of this rationally, but they are not buying for whatever reason and number three if the wrong target audience is there, there’s no matter what you say to him in an hour or ten minutes or half an hour or whatever, they’re not going to buy because they’re the wrong target ted audience and you haven’t sort of, you know, you can’t really help them. They are not in the market, they are not looking at that thing. Just on length as well, Jason, my business partner did a ten minute webinar and made $10.5 grand just a few weeks ago and he just did that..
Wow. What’s the product? Ten minutes. He was doing a case study webinar to his existing clients selling a brand new program, okay, it was a $1,500 program. He made, it was seven sales in ten minutes. $10.5 grand. Amazing. Very powerful tool, very powerful tool. Steven, give out your website, tell people where they can find you or when your next webinar is, maybe, I should say. Yeah, no worries. Well, I’ve already recorded a webinar and it talks about how to build a medical center model where you get other experts and you make 50% of their webinars and also I demonstrate on a webinar how to run a webinar on it, so if you want to see that and a whole bunch more, then you go to SteveEssa.com and you can check that out there. Closing thought is get doing it, right, the webinars are working, get doing it, don’t over think it, you can’t say the wrong thing to the right target audience. You could mess it up, you could cough, you can sneeze. I’ve had guys with stutters, with accents, don’t make excuses, just make webinars. Good stuff. 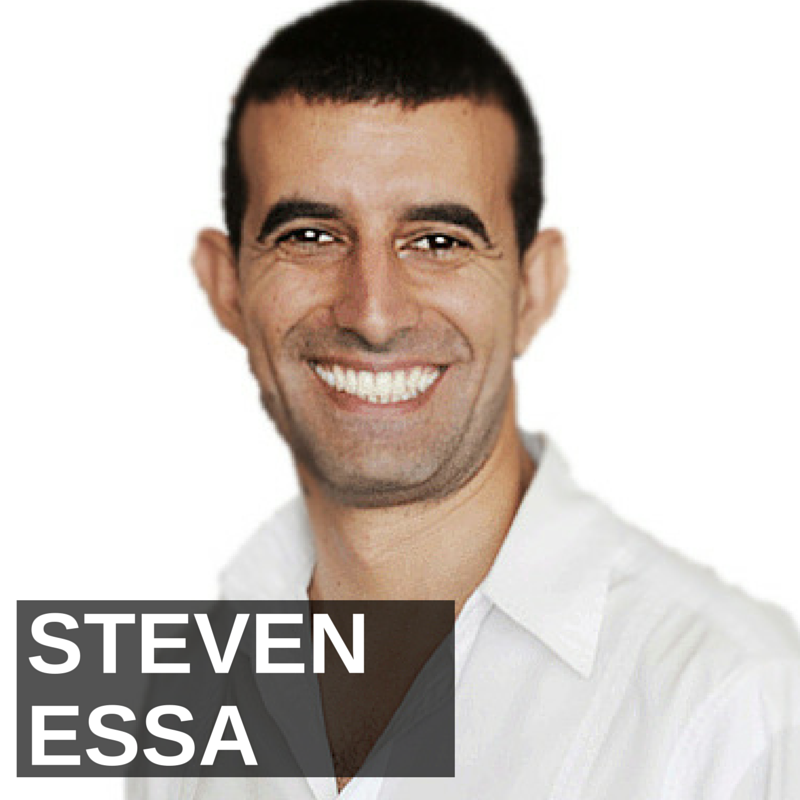 Steven Essa, thank you for joining us. You’re welcome mate, thank you, Jason.